It’s a new year, so we thought we’d start out with a series that re-establishes what we are and what we can do for you. There is a lot that MHI is involved in and works with. When I first started working here, I will admit, I was pretty overwhelmed, but once I wrapped my head around everything, it was actually pretty simple. So I’m here to help you skip the head-wrapping step. You’re welcome. Simply put: MHI is a trade association for the supply chain industry. We offer education, networking, and solution sourcing for our members, their customers, and the industry as a whole through our programming and events. Even simpler: At MHI, we connect our members to end users to help them solve their problems. We also support the industry by facilitating education and solution sourcing. Simplest: We make help connections to boost supply chain and material handling. Pretty simple right? Well, supply chain and material handing is a pretty big, scratch that, HUGE industry. So, not so simple. But totally worth it. 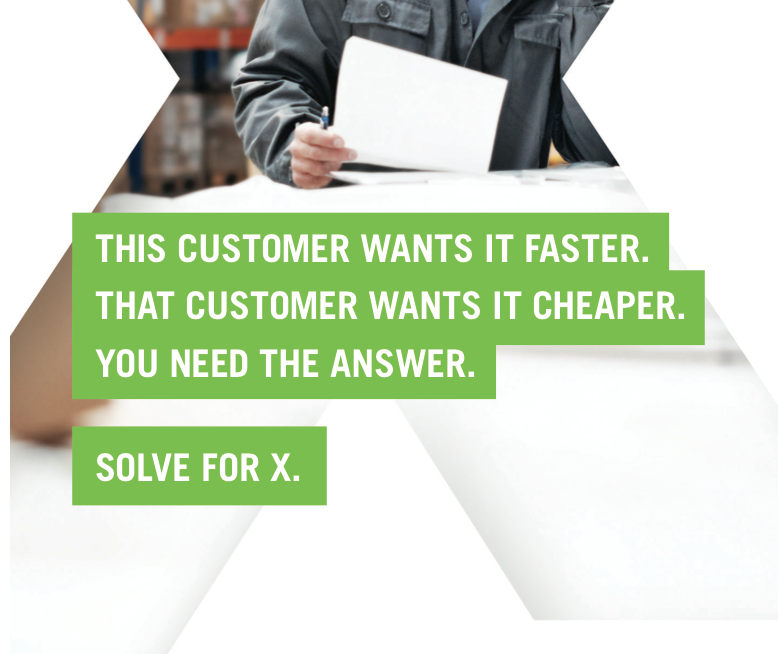 Supply chain and material handling are about solving problems and answering questions – so are we. Got a problem and don’t even know where to start to find a solution? Start with our industry groups and members, whose collective knowledge is used to finding solutions. Looking for a vendor to fill your supply chain need? Look no further, our members have got you covered. Want to learn more about the industry to how to get the next generation involved? MHI’s Career and Technical Education (CTE) program is the place to go. We also hold events like our Annual Conference and Spring Meetings to provide education and networking opportunities. With an industry as large as this one, it can be hard to keep up, so we got your back. And I haven’t even gotten to our babies – our massive, massive babies – yet. MHI hosts two trade shows, ProMat in odd years and MODEX in even years, which bring together hundreds of companies from the material handling and supply chain industries under one roof. Right now in marketing we’re ramping up our workload to prep for ProMat 2017, which is April 3-6 at Chicago’s McCormick Place. (Obligatory advertisement: check out ProMatShow.com to register today!) But in all seriousness, ProMat is going to be amazing. This year’s theme is “Solve for X”. Whatever your “X” is, whatever you need to improve the performance of your operations, you’ll find it at ProMat, which is the manufacturing and supply chain industry’s largest trade event! This year there will be over 850 exhibitors bringing their solutions for your problems. We’ve split the show floor into “centers” that make it easy to find what you’re looking for. 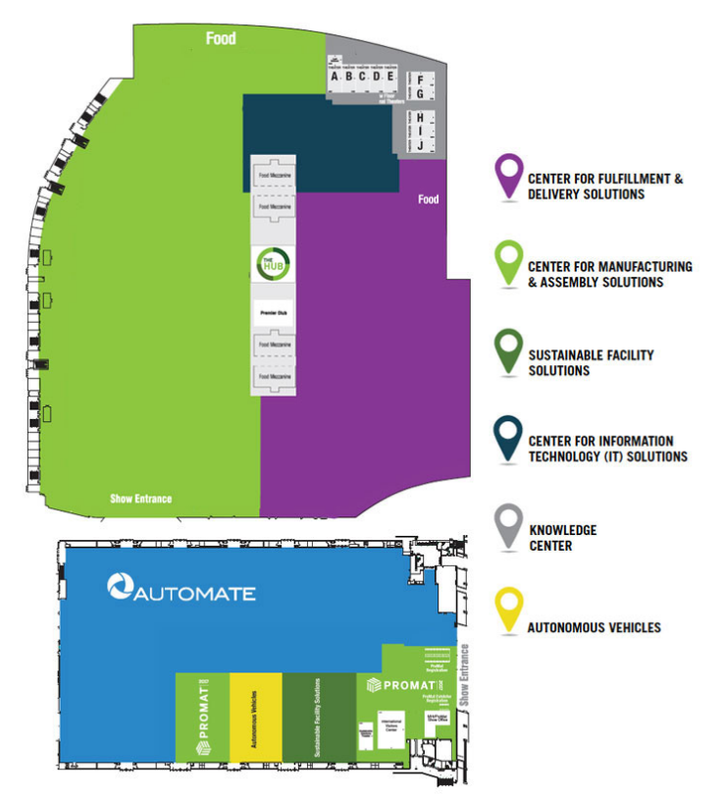 Visit http://www.promatshow.com/floorplan/default.aspx for interactive and detailed versions of the floor plan. So what is MHI? MHI is pretty cool. MHI is also working very hard to help raise the material handling industry and support our 800 some odd member companies. Next week, we’ll dive deeper into the different departments and programs at MHI that produce all this content for the industry that makes supply chain work. In the meantime, if you’ve got questions, please feel free to get into contact with us or visit mhi.org.